Why Should You Use a Security System for Your Apartment? The primary benefit of a security system is that it keeps criminals from entering your apartment and stealing your things. Statistically, the majority of apartment burglaries happen on the first floor, where thieves can easily transport valuables without having to carry them down several flights of stairs. However, if those apartments have a security system visible in the windows or doors, the thieves will likely move on to easier targets. Property managers know that a safe and crime-free complex is a huge draw for prospective tenants. While you’re investing in a new pool or fitness center, consider adding security systems to the list of amenities you offer. As inexpensive as renter’s insurance is, there are ways to make it even more cost-effective. Most insurance companies will actually give a discounted rate to apartment tenants with an active security system, so your alarms or video surveillance cameras may pay for themselves. 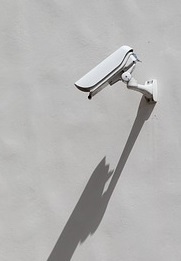 Many modern residential security systems allow you to install security measures, such as video surveillance cameras and alarms, without permanently putting holes in the walls. Depending on the system, you could even take the equipment with you at the end of the lease! If you’re ready to install a residential security system in your apartment building, give Alarming Ideas a call at (860) 887-2121. You can get a free quote or learn more about their security products by visiting them online.